This is the must-have plant-based cookbook for the must-have appliance—the Instant Pot! A vegan, plant-based diet is healthy, nutritious, and environmentally friendly. Now, it’s easier than ever to create plant-based dishes thanks to the Instant Pot. With 175 vegan recipes and photographs throughout, this cookbook is perfect for fans who want to learn how to make delicious plant-based dishes for every meal. Whether you’re a dedicated vegan, vegetarian, or an omnivore looking to eat less meat, you’re sure to find easy, healthy, and satisfying recipes that the whole family will love. "These recipes from The "I Love My Instant Pot" Vegan Recipe Book will make your life easier." "This book is perfect for the busy vegan who wants to make delicious meals." 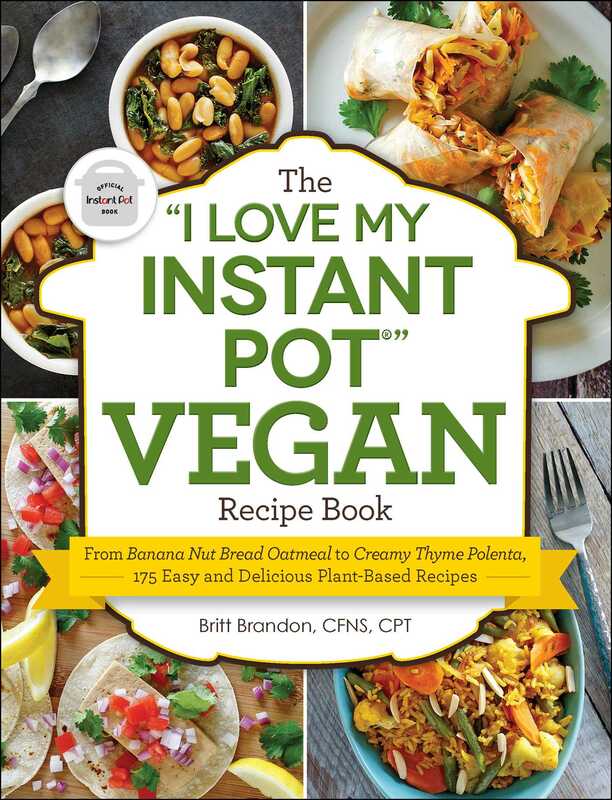 "Britt Brandon's cookbook, cleverly titled The 'I Love My Instant Pot' Vegan Recipe Book, shows us how with a lineup of plant-based takes on comforting classics. From General Tso's tofu to chocolate cake, Brandon makes vegan eats attainable in, well, an instant … .Take your plant-based cooking to new, exciting, and easy heights." "I Love My Instant Pot Vegan Recipe Book shows you how to make awesome plant-based meals in a super handy kitchen gadget: the instant pot! These healthy satisfying meals are perfect to make for family dinners, or just for you – either way, you’ll want seconds. These are some of our favorites to get you started!"